You may have already seen mention of some of the highlights from the debriefing by the Obama reelection team, flown in from Chicago, that I and many other political reporters attended this morning at the DNC -- Jim Messina's breakdown of the various paths to 270 Electoral College votes, David Axelrod's naughty invocation of an off-color primate metaphor to describe the rise of Newt Gingrich. One notable moment that has gotten less attention, though, came on one of my favorite topics, the prospect of a well-financed, "radical centrist" third choice appearing on most state ballots, courtesy of the millionaire-funded group that wants to nominate a bipartisan ticket in an online convention next summer. Jon Huntsman, a favorite of the group, may be trying to distance himself from the effort, but the Obama team made clear that it is taking seriously the threat of the group siphoning away votes from Obama. How did it make this clear? By trashing the effort. Messina noted that the group, Americans Elect, was probably going to get on the ballot in most states, and said that it was "something we need to deal with. But he also went out of his way to cast the group as an elitist effort at odds with its grass-roots claims. "It's an interesting process," he said. "First, [all potential nominees] have to be approved by this council of elders." 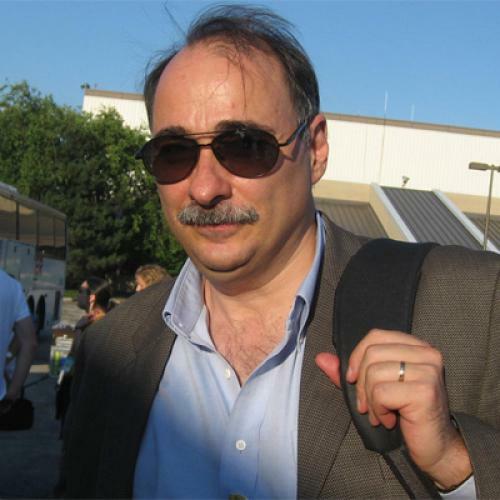 Axelrod piled on, saying that the group's nominating process was "a little odd." "It's supposed to be the most democratic process," he said, but it features a "board of censors to decide who's worthy of being nominated or not. It's uber-democracy meets backroom bosses -- an amalgam of both." Well, I checked the by-laws, and they do in fact make it sound like there will be some sort of screening process by the "Candidate Certification Committee," which "shall be responsible for certifying that candidates and draftees for the offices and president and vice president meet all constitutional eligibility, as well as to develop and apply criteria of demonstrated achievements based on qualifications of past presidents and vice presidents to ensure that only persons capable of performing the duties of president and vice president are eligible for voting by the registered Delegates, subject only to a two thirds vote to the contrary by all registered Delegates in accordance with Section 5.6." Hmm..."demonstrated achievements based on qualification of past presidents and vice presidents?" Like, say, being a poor-spelling back-bench congressman or the recent former mayor of a town of 6,000 people? This could get very interesting indeed. And I suspect this is not the last exchange we'll be seeing between the crew in Chicago and the unlisted Americans Elect office on Pennyslvania Avenue.